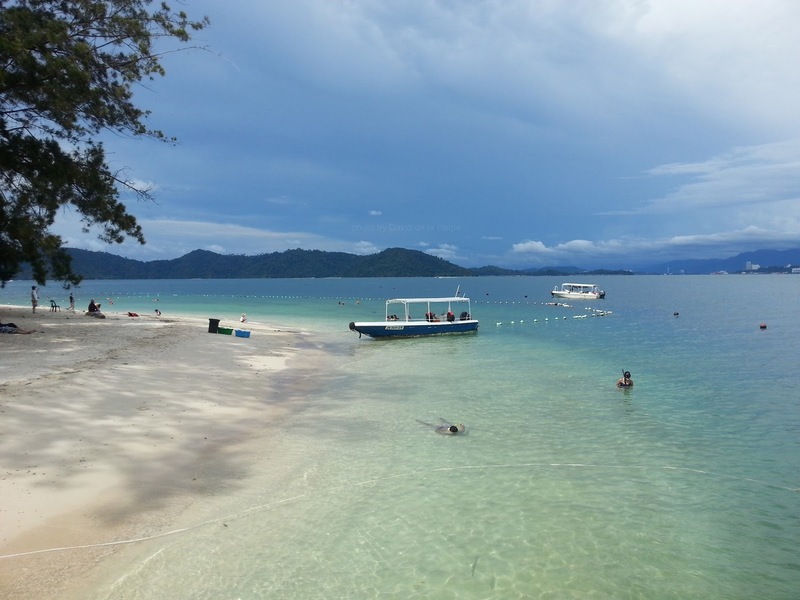 The 5 islands that form the Tunku Abdul Rahman Park are just a stone’s throw away from the City of Kota Kinabalu. 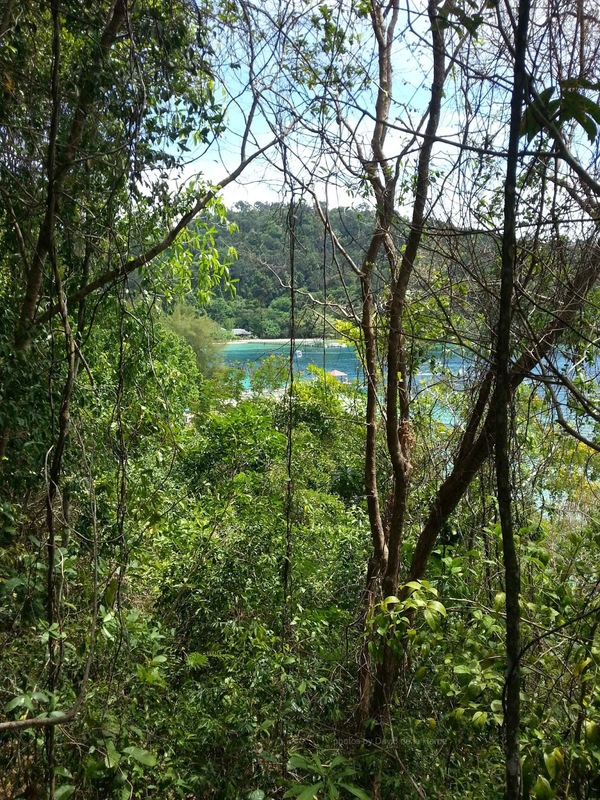 Most visit the park to swim, snorkel or even do leisure dives, but very few actually walk the trails on the island and this is a shame as we have some great Lowland forest on the islands. The most popular and interesting trail has to be the one that runs from Park HQ to Padang Point on Gaya Island. Its only 1.95 km long and will take you just under 2 hours to do a nice slow walk. 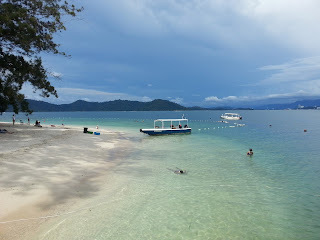 To get there, you will need to get your boatman to send you to Park HQ on Gaya Island and make sure you ask him to pick you up 2 hours later at Padang Point. At Park HQ, you will have to register and inform the ranger on duty of your intention to trek. 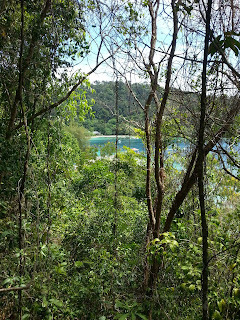 The start of the trails runs along the beach and soon the cool, shady forest canopy will envelop you. It takes a couple of minutes to adjust your eyes to the surroundings before you start to see the many wonders found in the rainforest. The forest on Gaya island is the closest example of Lowland rainforest that we have to the City and was actually Sabah’s first timber concession which was granted out in 1879 and it was also Sabah’s first Forest reserve (1923). The trails are shaded by the canopy of tall trees of various species with the tallest being “keruing” (dipterocarpus grandiflorus). In season you will find hundreds of the strange two winged seeds littering the ground. Some of the other unique trees that you will see along the trek include the primitive Cycads - considered a living fossil as it has been around from the time of the dinosaurs. Tall Clumps of Nibong, fish tail and rattan palms with some orange ixora bushes. Delicate Maidenhair ferns cling to the rocks and look out for bulbophylum orchids that grows on a large boulder next to the trail. wild nutmeg fruits on the trail, as they commonly grow here. There is a wooden boardwalk that leads through an area of Mangrove and it’s a surreal experience to be walking amongst the stilt roots of the mangrove forest. There are not many animals on the islands, but Gaya is home to some Wild boars they are rarely seen and you can count yourself lucky if you come across monitor lizards and long tailed Macaque monkeys on the trail. Often the raucous call of the Pied Hornbill can be heard as they forage for fruits in the canopy. All too soon you find yourself at the end of the trail at Padang Point. A restaurant has been built here and you can enjoy a refreshing drink while waiting for you boatman to come pick you up. Getting there: Boats are available at Jesselton Point in the City. I definitely dream about going to this party place again. The live music at event halls for rent was an added bonus, providing a backdrop for the fun hours spent imbibing, tasting, and chatting up with the breweries and beer distributors.